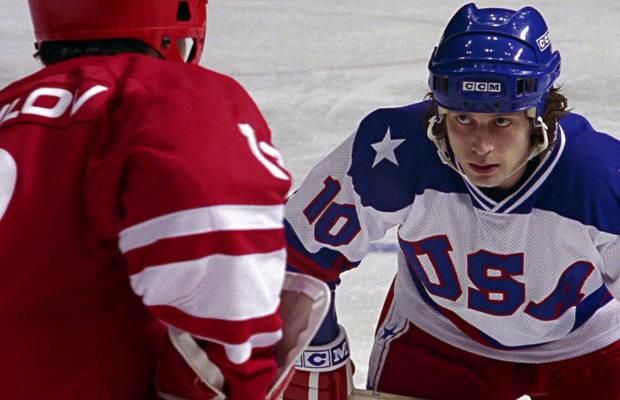 They’re not villains in the traditional sense, but you probably can’t find one red, white, and blue-blooded American that didn’t want the U.S. to beat the Soviets during the 1980 Olympics in hockey. The opposition wasn’t given much personality in the film version of this legendary game; however, their ideals and red uniforms were enough to get us all worked up. Even though they had more experience and talent than the U.S., the young up-start Americans managed to squeak out the win, and this film captured the moment admirably. Nothing really made these guys evil other than the “C.C.C.P.” embroidered on their jerseys, but back during the Cold War, that’s all you needed.